Sculpture is the vehicle through which I believe I can best express the joys and sorrows of the human condition. 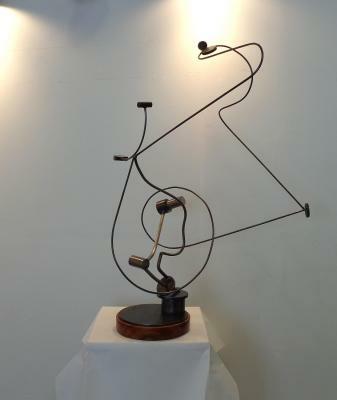 I have always had an affinity for working in metal, and have developed experience and expertise with various mediums, ranging from fabricated stainless steel to cast bronze. 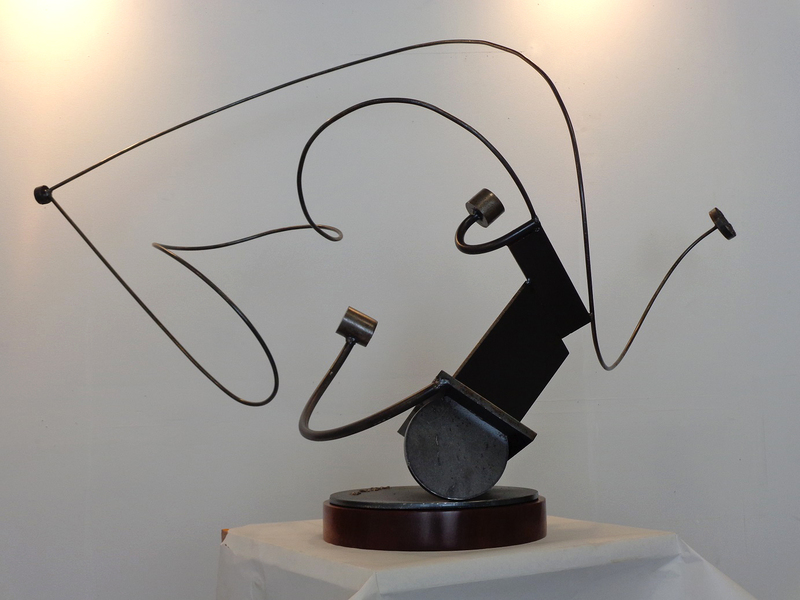 Whether creating an abstract work in steel or a representational figurative sculpture in bronze, it is my hope that the beauty and power of sculpted forms which I find so compelling is conveyed to those who view my work. The small steel sculptures in this exhibit are based on the idea of the working of the machine from a past age where human gesture and intent could be calibrated and shown in wheel and cog. The compositions are intended to have an air of whimsy, but with the deliberate force of mechanized construction. Motion is implied and balanced by frozen gesture. 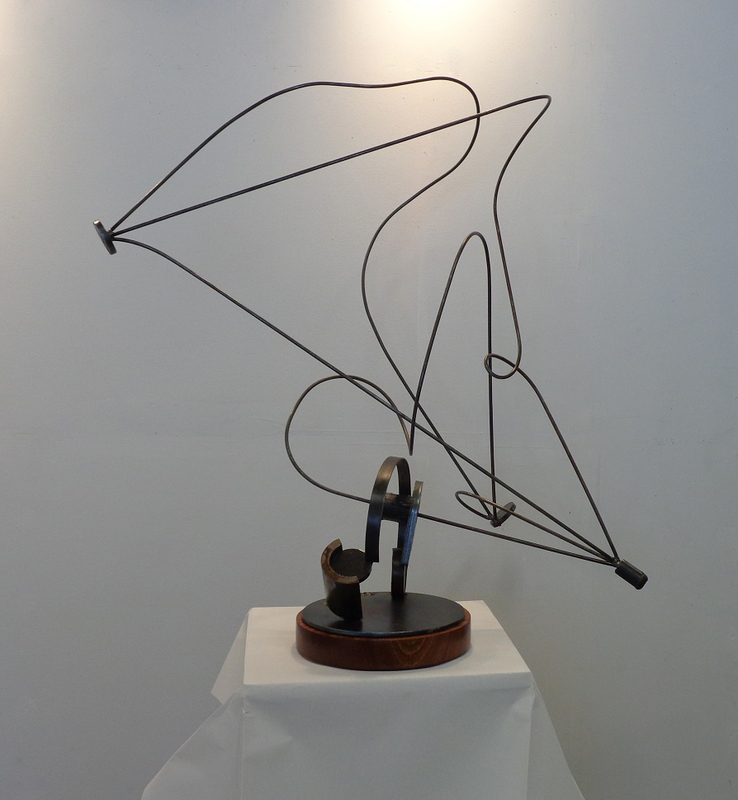 These sculptures have been the wellspring for my large monument public abstract works. Littleton Alston received his BFA from Virginia Commonwealth University and his MFA from Rinehart Graduate School of Sculpture, Maryland Institute, College of Art. 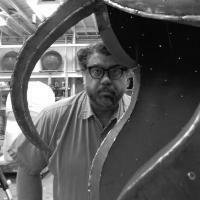 He is currently an Associate Professor of Sulpture at Creighton University in Omaha, NE.